OC also offers other financial solutions, in addition to the traditional Financial Aid students may receive, for students that still need a little help paying for college. The First Class Free Scholarship waives standard tuition and fees for the first 3 credit hours taken at Odessa College for high school graduates taking their first class at Odessa College as well as transfer students taking their first class at Odessa College. 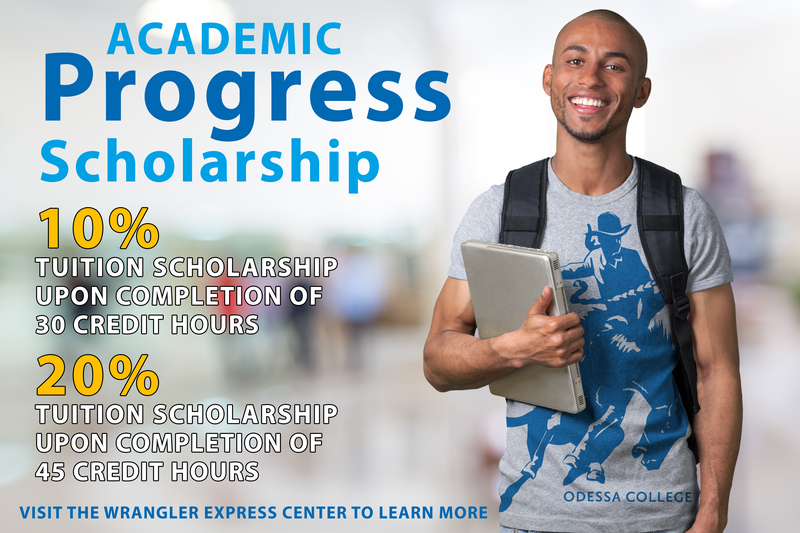 The Academic Progress Scholarship provides a discount on tuition upon completion of a number of course credit hours. Receive a 10% discount upon the completion of 30 credit hours. Receive a 20% discount upon completion of 45 credit hours.